Computer Tutoring is committed to protecting your personal information when you are using our services. From time to time our site may contain links to and from other websites. For example social media websites, If you visit any of these sites please note that they have their own privacy policies and you should check these before submitting any personal data. We cannot accept any responsibility or liability for these policies. 2. What information will Computer Tutoring collect about me? Information submitted from the enquiry forms filled out on www.computertutoring.co.uk and email enquiries and verbally through telephone enquiries. From these we collect your name, email address, postal address and phone number. We also record the training course that you are interested in and any special instructions that you provide us for the training day. Post course evaluations are completed after training days. From these we collect delegates names, email address and general comments on the course. Delegates will be emailed to thank them for taking the time to complete the evaluation and with details of how they can contact Computer Tutoring for training support. If the delegates indicate on the evaluation form that they would like to receive training tips and / or special offers from Computer Tutoring they will receive no more than 1 email per month. They can unsubscribe at any time. We may keep a record of any correspondence if you should contact us for the period of the enquiry and training. 3. How will Computer Tutoring use the information they collect about me? Your privacy is very important to us, we will never share your information. purpose of conducting a training day. satisfaction these files will be deleted from our computers and emails. 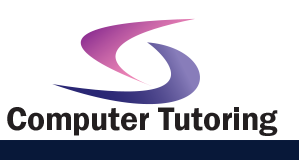 We may collect data pertaining to web traffic visiting our website www.computertutoring.co.uk. This is done using the Google analytics tool. No browsing behaviour data specific to identifiable individuals is collected or stored. Traffic data is for internal use only and will never be given to a 3rd party. 4. When will Computer Tutoring contact me? that Computer Tutoring can deliver the services to you. In relation to training support that you have requested. 5. Will Computer Tutoring share my personal information with anyone else? 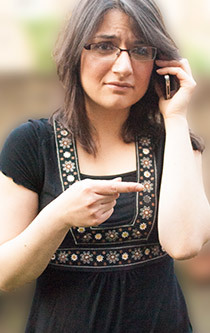 When credit card or Paypal payments are taken, details are processed via Paypal. 6. What Does Computer Tutoring do with my Credit / Debit Card details? 7. Can I find out what personal information Computer Tutoring holds about me? We do not store cookies on the users computer.